The arrival of MGM Springfield to Western Mass has opened so many new doors for those looking for exciting entertainment. The brand new MGM Springfield is a resort casino destination, but so much more. 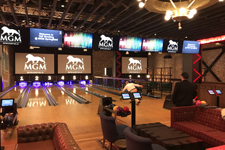 For those seeking entertainment with a sporty vibe, MGM Springfield caters to those looking for some active indoor and outdoor fun. 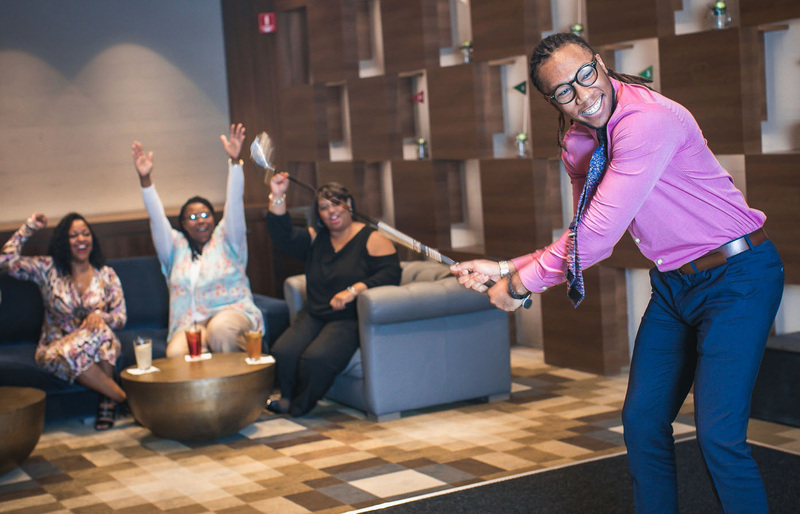 Grab your friends and enjoy the most advanced way to play golf year-round at MGM Springfield’s TopGolf Swing Suite. Not only can you fine tune your golf swing, but you can also enjoy a casual lounge setting complete with a menu filled with fantastic food and drinks. Take a swing, score some points, share a laugh or an app like the Giant Pretzel or a plate of delicious nachos. Top Golf is easy to find, enter the casino floor, head towards the lobby and you can’t miss it. Top Golf is open 7 days a week and is available for parties as well individual play. 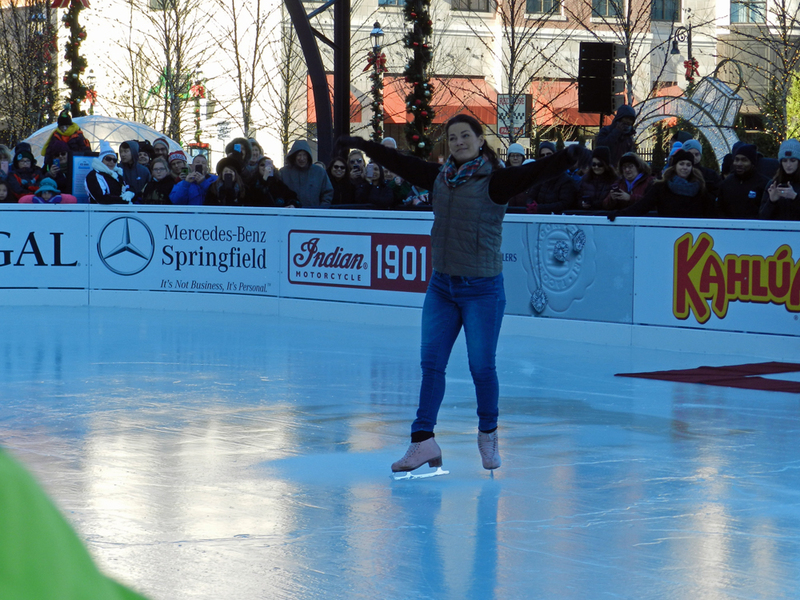 The Plaza at MGM Springfield has transformed into a winter wonderland with a giant outdoor ice skating rink. Guests of all ages can lace up their skates and enjoy the brisk New England air. Skaters can bring their own skates or rent, each ticket allows skaters 45 minutes on the ice. 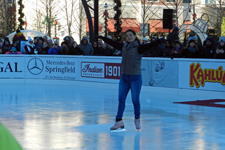 The Ice Rink at MGM Plaza presented by Mercedes-Benz of Springfield is open to the public every day until March 3rd, weather permitting. Looking for something right up your alley? 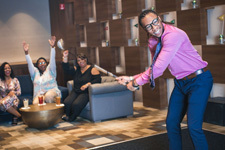 Try your hand at bowling or go wild at the arcade, even root for the home team. Everything rolled into one at the TAP Sports Bar inside MGM Springfield. 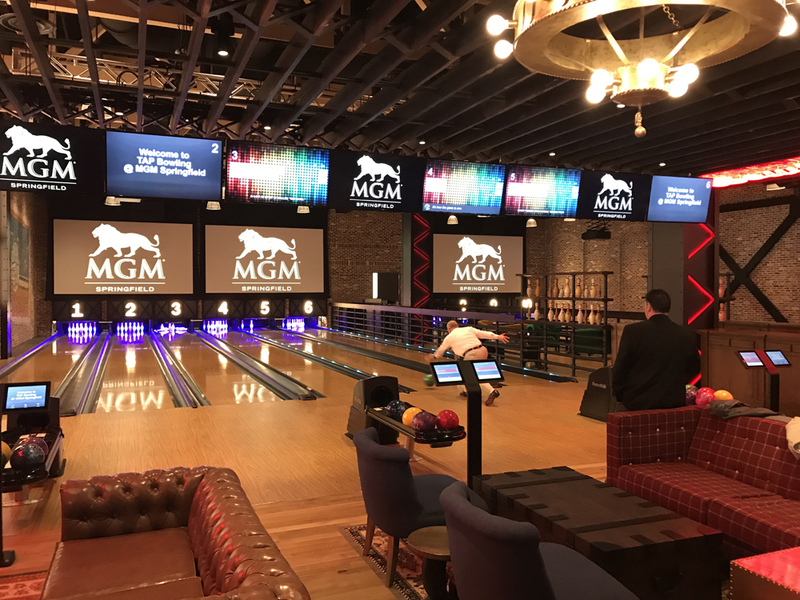 Whether it’s a relaxing evening with friends, family or a business event, MGM provides unique accommodations that allow you to experience bowling in a whole new way. TAP Sports Bar will showcase the greatest in professional and college sporting events while serving up fan-favorite food and an extensive beer selection. If sport of the mind is more your style, try out The Lobby Bar during “Study Hall” hours. 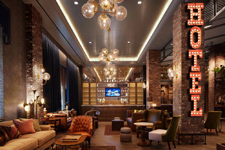 Every Friday night, this unique venue in the hotel lobby at MGM Springfield transforms into a library of eclectic entertainment. 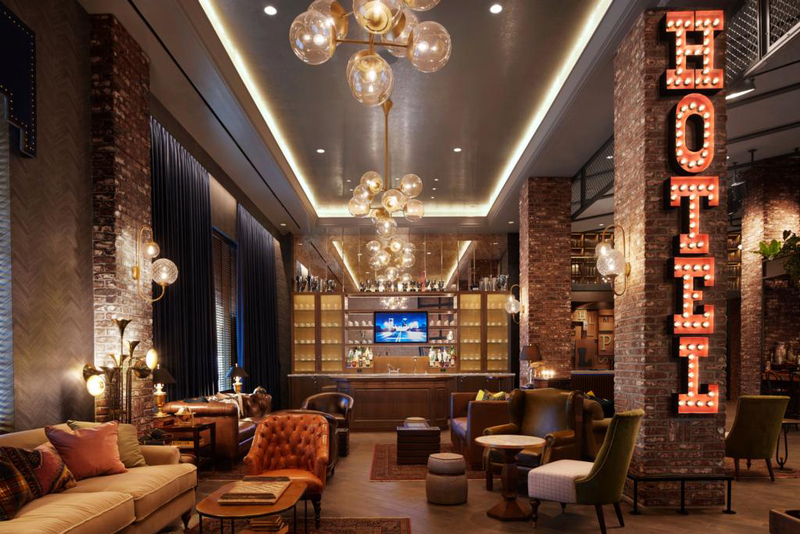 Test your literary knowledge as you sample the themed libations like “Tequila Mockingbird” or “Gone with the Gin” while you sit back and relax to the sounds of the Lobby’s “Study Hall” musician of the week. We can’t think of a better way to appreciate the written word than with a sip of a colloquial cocktail.